Ethan is native of California who studied international business and has work experience as an engineer. JobSeekr is pleased to present his video story as a Featured Seeker. Featured Seekers have a chance to tell their stories and have their voices heard. As a Featured Seeker you will be highlighting yourself to prospective employers by going beyond the simple white paper resume and building your online presence. If you are interested in becoming a featured seeker please fill out an application. Find jobs for friends and get paid. We’ve all been taught to share since childhood because it’s the “right” thing to do. At JobSeekr we’re taking this a step further, so you can get paid a referral reward when friends get hired for jobs that you shared with them. Help your friends and yourself all at once! SeekrLab does 'seekr' services. We help people find new opportunities and get matched. JobSeekr began as a global job seeking platform in Korea, but now looks to grow into a 'LinkedIn' for young, global creatives (http://jobsee.kr). We value your Korean insight and will treat you like family. We might even go on holiday to Europe together. We're looking for a web developer (or two) with an eye for design and elegance. The latest visa & sojourn guide manuals for foreign nationals in Korea are available on HiKorea in Korean, updated as of 8th December 2014. 출입국업무(사증 및 체류)와 관련하여 각 체류자격별 신청대상 및 필요서류에 대한 이해를 돕기위해 안내 매뉴얼을 제작하여 등재하오니 많은 이용 바랍니다. 또한 '알기쉬운 재외동포 정책 매뉴얼'도 금번 안내 매뉴얼에 통합되었음을 알려드립니다. 하이코리아 정보마당의 민원안내는 현행화 작업 예정이므로 이번 안내매뉴얼과 상이할 수 있습니다. 가능하면 이번 체류자격별 통합 안내 매뉴얼를 참고해 주시기 바랍니다. One of the ways we planned to simplify job seeking was with what we call matching. Just because you're the job seeker, why should you have to constantly search for the jobs? Why can't the jobs search for you? Well today we're one step closer to making that possible. Many users have contacted us asking for notification features whenever there are suitable jobs for them, but to do that first we need to know more about our users. 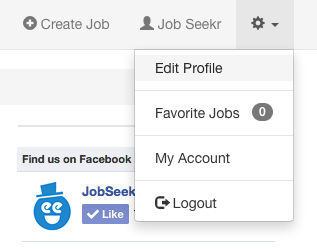 That's why today we are introducing more comprehensive JobSeekr profiles.